New market report "In-Car Infotainment (ICI) Market - Global Forecast & Analysis by OEM & Aftermarket (2011 - 2016) by Products, by Applications" developed by MarketsandMarkets has been recently published by Market Publishers Ltd. The report states that based on the present economic conditions and the optimistic future conditions, the overall ICI market is expected to grow at a CAGR of 12.1% from 2011 to 2016. The ICI market is in the introduction phase and has a limited market size, but is expected to grow at higher rates like 29.9% and 29.3% in 2011 and 2012 respectively. Based on the present economic conditions and the optimistic future conditions, the overall market is expected to grow at a CAGR of 12.1% from 2011 to 2016. In-Car Infotainment initially being an integral part of luxury cars is now emerging as a differentiable factor for the mid-segment cars. In-Car Infotainment systems offer both entertainment and information services. Such a system replaces multiple products and offers enhanced user experience to the customer. New market report "In-Car Infotainment (ICI) Market - Global Forecast & Analysis by OEM & Aftermarket (2011 - 2016) by Products, by Applications" developed by MarketsandMarkets has been recently published by Market Publishers Ltd. The report categorizes the global ICI system market on the basis of them being used in different products, applications, geographical analysis; forecasting revenue, and analyzing trends in the market. It covers a detailed outline of the market related to ICI product and its applications. The report also highlights the future products (features likely to introduce in future) in infotainment solution. 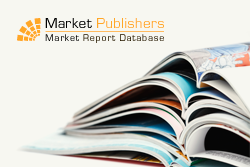 More new market research reports by the publisher can be found at MarketsandMarkets page.